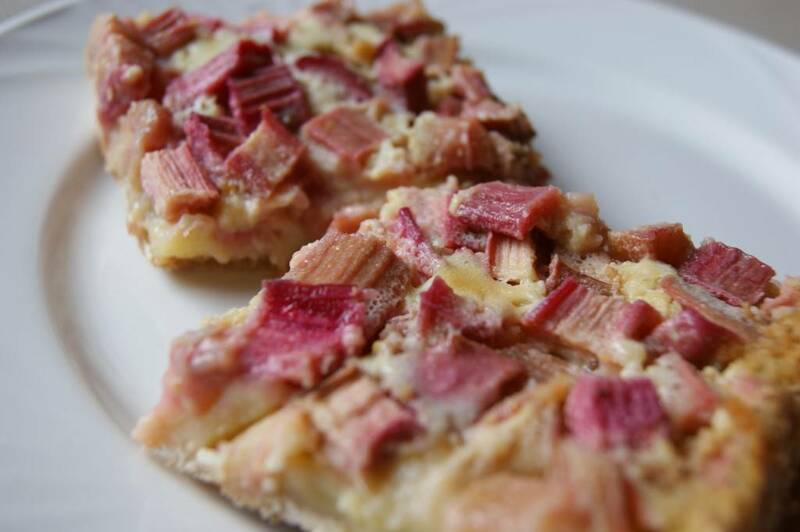 Rhubarb Custard Bars are awesome: such a crisp nutty crust married to a sweet, smooth, sliceable custard, and filled to bursting with tart pieces of rhubarb. Excuse me while I drool. I’d love to claim this recpe as my own. But, while I have tweaked it a little, original recipe honours must go to Ciara Dooley of Kildara Farms. She gave me this recipe almost 10 years ago and I have been using it ever since, a happy and delicious spring ritual. I love rhubarb crisp, too, but this is something different and hand-pie-ish. My kids call these “Rhubarb Pie Things” (Usage: “Mommy, can I have another Rhubarb Pie Thing? Please? I’ve only had two!”). I just call them extra yummy. Plan to eat these bars up within two days. If you don’t think you can eat them that quickly, cut the recipe in half and bake it in an 8×8-inch square pan. 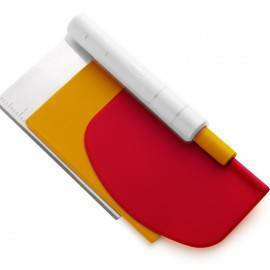 Preheat oven to 375 F. Butter the bottom and sides of a 9″ x 13″ (approx) metal or glass pan. In a large bowl combine all ingredients. Mix with your fingers until the mixture resembles fine crumbs. Butter should be completely incorporated. You can use a food processor for this step, if you like. Press crumbs (not too too firmly, but firm enough) into the bottom of the prepared pan. Press a tiny bit up the sides of the pan as well. Place pan on lower-centre rack of the preheated oven. Bake for about 15 minutes, until golden. Remove from oven and reduce oven heat to 350 F.
Note: the first bar is hard to cut, but after that, they should be pretty easy to cut. This came just in time Heidi! Jürgen just dumped a load of rhubarb in the kitchen and asked if I’d make him a pie. I said that’s about as likely as him making one for me! I haven’t yet taken your pie class obviously :) This one I can do. Goodness! I need to make myself some of these! 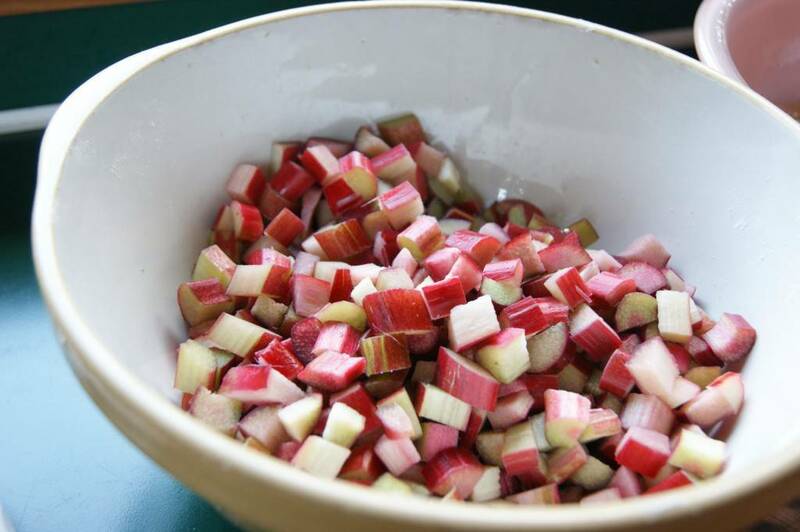 I just happen to have a few stems of rhubarb in my fridge (c/o Saanich Organics) – thanks for such a delicious looking recipe! I can practically taste it already! P.S. Do you happen to know where I can get whole wheat cake & pastry flour?? Hi Kristy, you can get whole wheat pastry flour at most supermarkets and at the health food store. Supermarkets sell it in those small packages – either Nunweiler’s or Bob’s Red Mill. 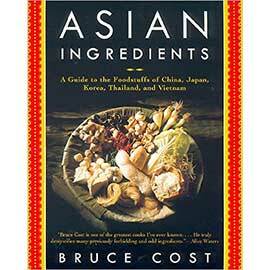 Health food stores usually sell it bulk, or in packages. add the rind of two organic oranges…it brightens the flavor immensely. Oh my, this looks yummy! Harvested my rhubard today and just popped a batch of this in the oven. Made the mistake of posting on facebook that I was making your recipe. After popular demand I posted a link to this page :) Thanks for sharing this wonderful piece of goodness with us!!!! 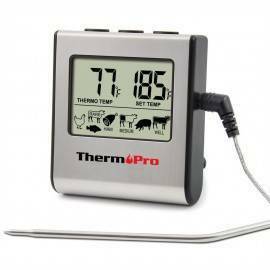 Joella – I’m so happy that you shared my recipe on facebook. I hope it turned out well! Half recipe in the oven right now (I *could* eat a full recipe in two days, but probably shouldn’t). Can’t wait to try them! Thanks for such a tasty recipe, Heidi. I made it with buttermilk instead of whipping cream, and they tasted great. You’re welcome, Lara! I like the buttermilk idea. I took these to my son’s baseball game and they disapeared in no time. Now I have to make more. So yummy!! Thanks Heidi! This turned out really delicious. I’ve just shared some with my bachelor neighbour over the fence! I was going to cut down on the sugar but then remembered how sour rhubarb can be so left well enough alone. I like the idea of adding orange rind and would imagine this recipe would also be nice with other kinds of fruit such as berries. “If you don’t think you can eat them that quickly” – hahahaha! I ate 2/3 of the pan by myself in less than 24 hours, and I would have eaten the other 1/3 if I hadn’t given it away so quickly. These are ridiculously more-ish. “Ridiculously more-ish” – I love that, Laura! Do you mind of I steal that? So glad you love them. I love them, too! This is the second year I’ve made this and shared with friends. This year I substituted just whole wheat flour and used only brown sugar…turned out wonderfully :) Yummers! Thank you so much for this recipe! Thank you for all your great ideas, especially for this recipe. I dd not have whole wheat flour, so I reduced the flour by an 1/8 and replaced it with flax seed. Worked out great! My husband loved it too!! I just made these and they are absolutely fabulous! I didn’t have any whipping cream but did have some cream cheese. I nuked the cream cheese till it was soft and beat it into the custard prior to adding the rhubarb. Thank you!! These bars are deadly! I can’t get over the base especially.. Caramelly buttery deliciousness. I made them last night, and between just me and my husband, we ate half the pan in 30 minutes! And hey, I just realized we’ve likely played ultimate together (on different teams) for years. These are amazing! First time I made them I confess I thought they might be too sweet, but after trying them again with less sugar, and then again with the full amount, I think they are perfect. 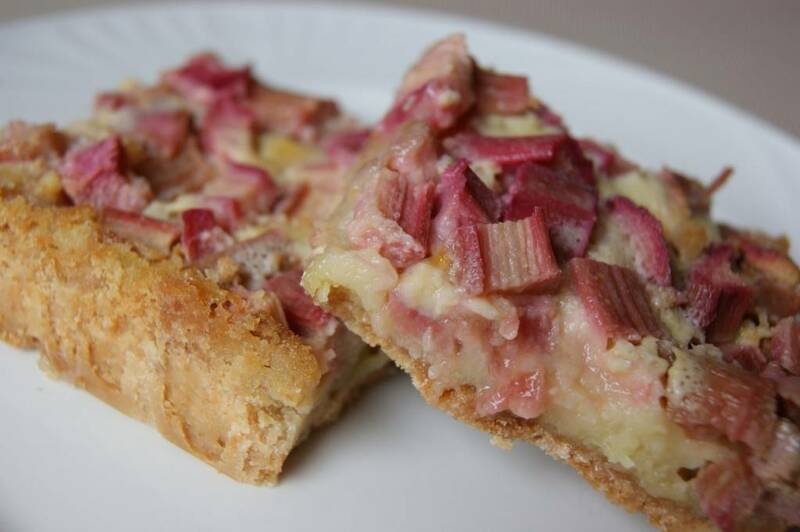 I made a batch last week and am making another with frozen local rhubarb from last year’s crop and the recipe works well with it. Also I have tried 1/4 cup buckwheat instead of whole wheat and that works too. I think I prefer them with the cream. 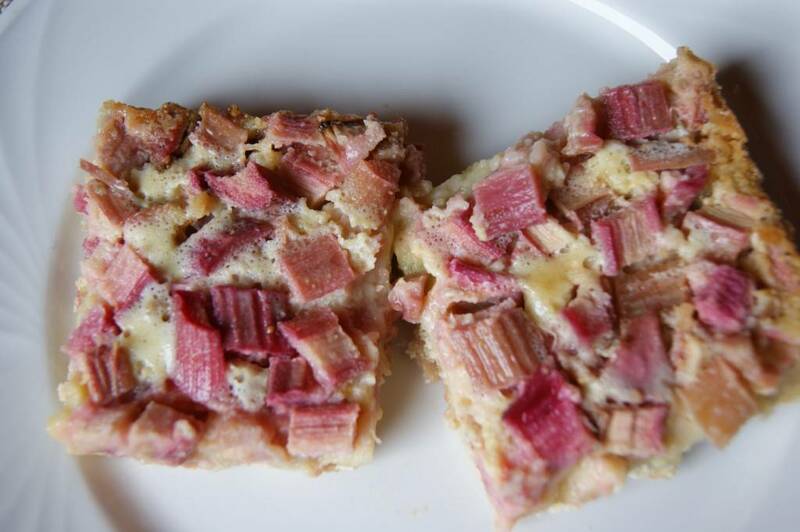 I think they are a brilliant way to convert folks like me who often don’t like rhubarb to LOVE rhubarb. Thank you Heidi! Perfect! I’ve been trying for years to re-create the pie my mother made in the fifties. She worked from a Betty Crocker recipe, yet when I tried that original recipe, it never came close to hers. From the moment the aromas wafted out of the oven, I knew this was the one…caramelized juices turning the crust sweet and chewy, not too much custard, and plenty of rhubarb. From childhood, I’ve always been a rhubarb lover…so much so, that I even begged for my mother’s rhubarb pie on my birthday, instead of a cake. (The cake was for the party, but the pie was for me!) Thank you for this delicious recipe! Can you use all regular all puplrpise flour and no whearmt? How 2I’ll the crust come out? Hi Mary – yes, you can use all regular flour in this. The crust will taste a little less nutty, but otherwise delicious. Delish! My only suggestion: It’s always so much easier if a recipe gives vegetable/fruit ingredients in weight rather than chopped volume. I had to estimate and didn’t buy enough rhubarb, so I threw in some apple and raspberries to make up the quantity. This one probably needed a pound of rhubarb. That is a great suggestion, Jessica! I will amend the recipe right now. Made these tonight, and they are DEE-LICIOUS!!! Substituted vanilla Krema yoghurt for the whip cream (as we didn’t have any) plus a couple of tablespoons of milk, and it worked out just great. What a wonderful way to start the rhubarb season! Thanks, Bobbi! I’m glad you liked the recipe. These are incredible. The balance of sweet and tart. The rich crispy buttery nutty crust. The perfect cream of the custard. 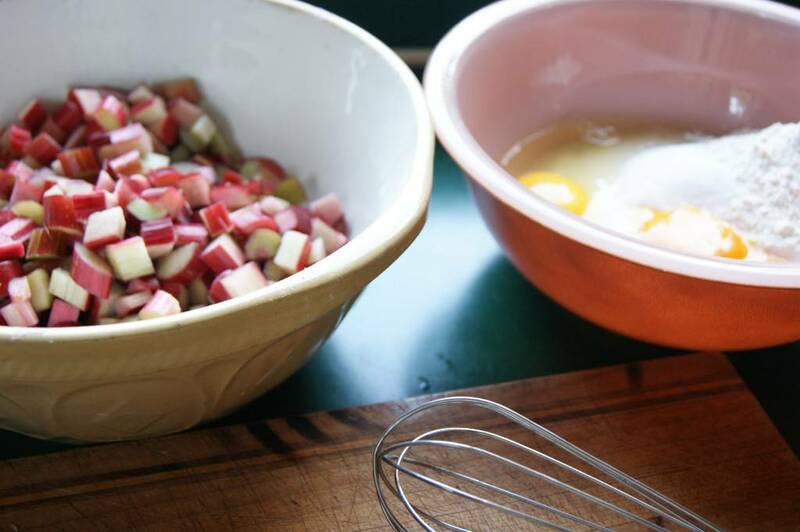 My new favorite rhubarb recipe! I found you by way of Outlander Kitchen and am so glad I did. Wow, thank you, Rachel! High praise indeed. 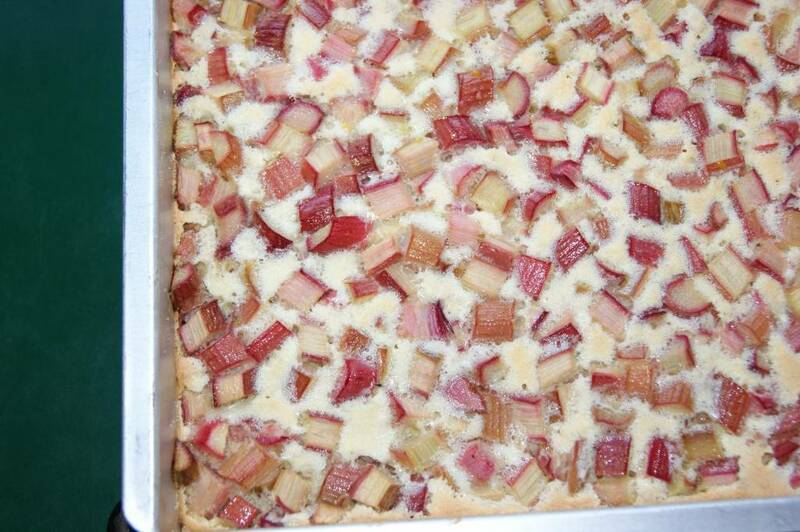 This also my favourite rhubarb recipe. I’m so glad you loved it as much as I do. Can you freeze the finished bars? If so, how? These bars look delicious, I am wondering if I could use Granny Smith apples instead of rhubarb when rhubarb is out of season. Absolutely! That would be a great substitute.